Ruger has issued a safety recall on one of their popular bolt-action rifles, the Ruger Precision Rifle. Not every Precision Rifle is affected by this recall, just those rifles falling within certain serial number ranges that have an aluminum bolt shroud. The issue in these rifles is that the round may not fire when you squeeze the trigger resulting in a light strike. When the bolt is opened, however, on some rifles that cartridge will then fire when not expected. If your rifle falls outside of those serial number ranges or does not have an aluminum shroud, this recall does not apply to you. If you are not sure, please visit Ruger's recall page for more information. As seen in the video, newer rifles starting with 1802 or 1803 serial numbers are not affected. If you have experienced any issues, make sure you reach out to Ruger to acquire the needed part upgrade, and instructions on how to install. 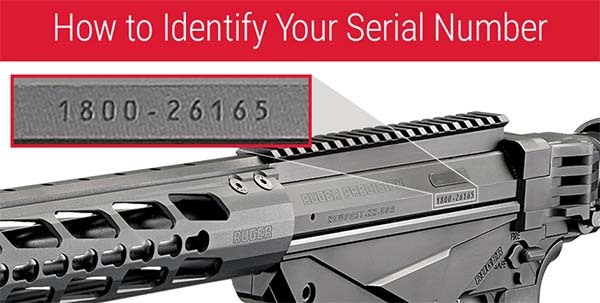 Finding out if your rifle was equipped with a defective part is simple, simply plug its serial number into the form toward the bottom of this page and follow the instructions.